Traditional acoustic instruments get a punchy makeover with the zany Demon Barbers. 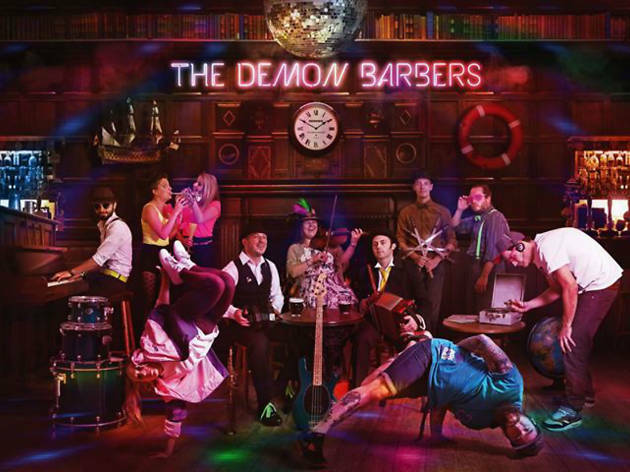 Previous winners of the 'Best Live Act' accolade at the BBC Radio 2 Folk Awards, The Demon Barbers sure are a sight to behold, blending folk and hip hop with bags of energy for a multi-faceted, dynamic spectacle. 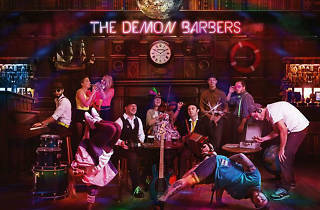 Having also performed at Glastonbury Festival and the Edinburgh Fringe, The Demon Barbers now launch their new album, 'Disco At The Tavern', a collaboration with Grammy and Emmy Award winners Donal Hodgson and Kipper.